First of all I would like to thank Razer for sending me this out for review. It can be bought on AmazonUK for around £160 & AmazonUSA for $177. This was my first experience of Razer’s audio range (and this is one of their most expensive products), and you’ll be able to see from my ratings above, that it really didn’t impress me. Read on to find out more. 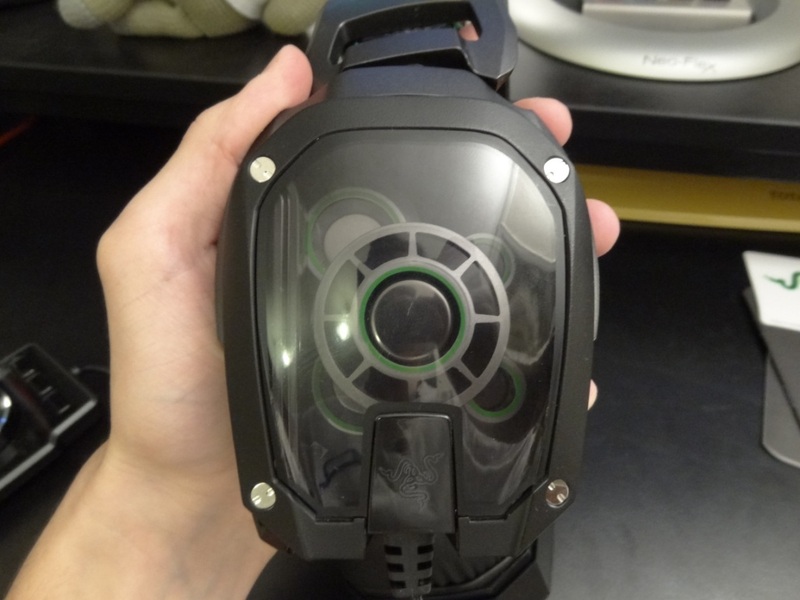 For more information about the headset and its specifications can be found on Razer’s website. The packaging is very over-the-top with a lot of marketing hype written all over the headphone’s box – to be quite honest, I don’t mind companies doing this: They should be proud of their products – but the irony of all the hype, in comparison to what the headset actually offers was laughable in the end. Inside the box, you get a small cable, that’s used to connecting the control pod to external speakers. You also get a pair of plastic cups, which are used to customise the looks of the headset. Finally, apart from the obvious inclusion of the headset and it’s huge wire-bundled control pod, you also get sets of stickers and manuals. The contents aren’t anything mind-blowing especially at its given price range, I was also disappointed pulling the headphone out and finding that it’s a one-cable design headset with over 3m of cabling attached to it. The build quality of the headset is decent in terms of withstanding knocks and falls, but the overall build of the headset is not that impressive, especially for its high price tag. The biggest thing for me was the cable, control pod and headset are all wired into one unified device. This is extremly incovinient when it comes to using the headset on and off with your speakers. It also makes it horrible for cable management and where to actually place the headset after you want a break from it. A simple removable cable would have solved all of this and it’s extremly disappointing that at the high price tag for this headset, that it wasn’t thought out. If this headset was priced at the £40 price tag I would have understood, but at £160 – there’s simply no excuses. Speaking about the cable, it’s long, very long. 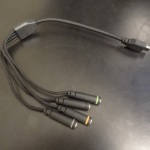 The 3m braided cable is 3m long – which is essentially great for plugging in at the back of your PC. I should mention how this headset is terminated: It has 5 3.5mm straight gold-plated jacks, which act as a full “7.1” headset in your given motherboard or soundcard. 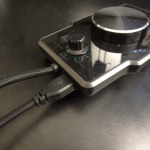 It also has a USB connection, but that’s used for powering the headset and control pod, not as an audio bypass. This is a huge let down to me, as you’re completely limited to the sound you have on your PC – which in most cases for people isn’t the best using on-board sound. I can safely say that this headset sounded horrible with my on-board Asus Sabertooth Z77, but sounded better with a Asus Xonar D1 soundcard. So, if you’re going to buy this headset, do bear that in mind. I’ll explain why you shouldn’t get this headset in the sound quality section, so hold fire. 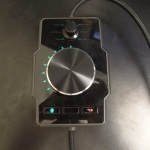 Continuing with the wire, as we move up it, we have the control pod – this small thing really reminds me of the Logitech Z5500 or X540 control pod – it’s really useful for adjusting volume, changing to 7.1 surround, muting the mic and even bypassing the sound to speakers. 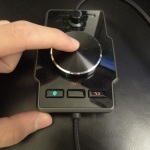 Yes, that’s possible – with the included accessory, you can bypass the sound to your speakers and with the click of a button on the control pod, allows you to play the source music to your speakers instead, of your headset. This is a great functionality for the headset, however the big problem I noted was the fact that the speakers, whilst plugged into this splitter produce static crackles, whilst there is no music playing. In other words, when you have the splitter connected, but have music playing through your headset, then the speakers pick-up this horrible static noise each time the beat slams some low-end tones. Therefore this functionality is great on paper, not really well executed in practice. It would seem to be that the bypass isn’t well done. 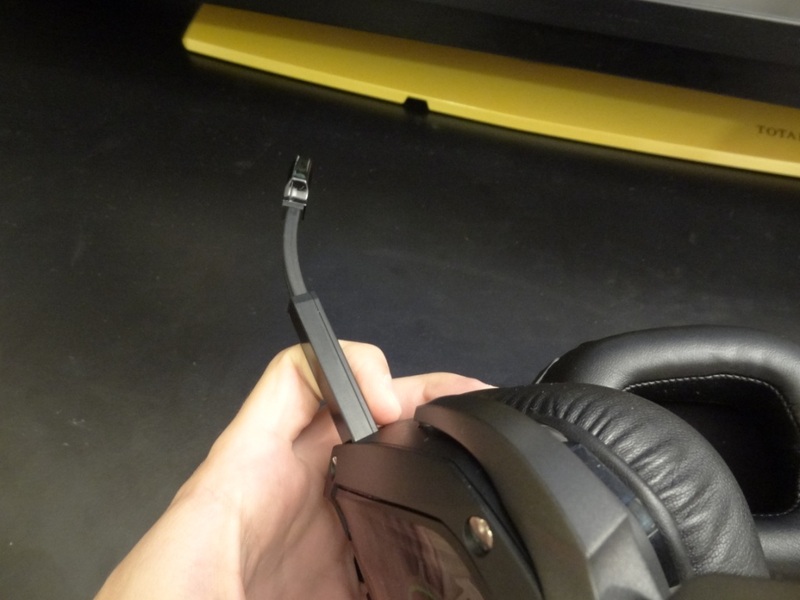 Moving to the headset, I wasn’t that impressed with the overall build quality of a £160 headset. It was built out of cheap plastic, and didn’t really feel premium of any sorts. With that said, it did feel durable and not like it would fall apart easily. Starting from the left-hand side, there is a retractable mic that is decent of sorts, but again feel extremely flimsy. Furthermore, once the mic is out, the malleable material doesn’t really stick to what you want it to – it keeps reverting to a straight position. 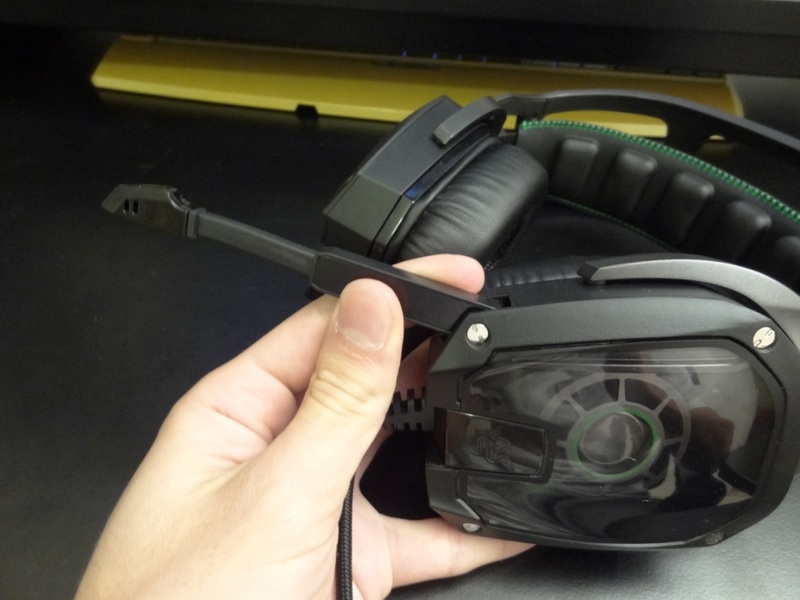 Continuing around the headset, the headband assembly is great in principle, as the adjustments work really well for all type of head sizes and shapes, however, the inner bit of the headband is made out of a plastic material, not a soft material, which would have been much more comfortable for longer periods of gaming. 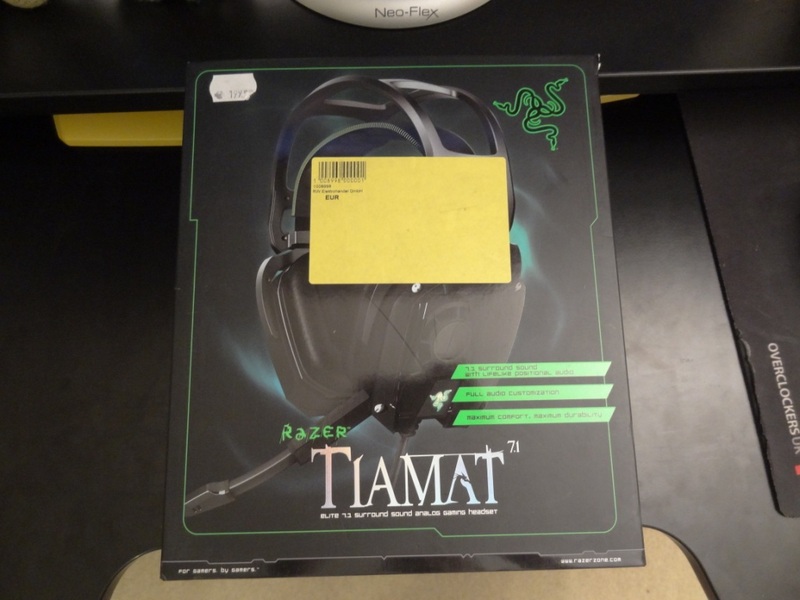 Therefore due to the poor choice of materials (probably due to it being cheaper to produce), gives the Tiamat 7.1 an uncomfortable feel on the head. I’ll speak more about the pads and the headband in the comfort section of the review. To round the headset off in terms of build quality, the headset has an “open-look” design, which can be customised with the plastic faceplates, looks “cool” but it isn’t a design I would have personally opted for. In terms of overall look, the headset is pretty huge on your head, and therefore doesn’t look great – however I’m not concerned about that, because I use it at home and not on-the-go. 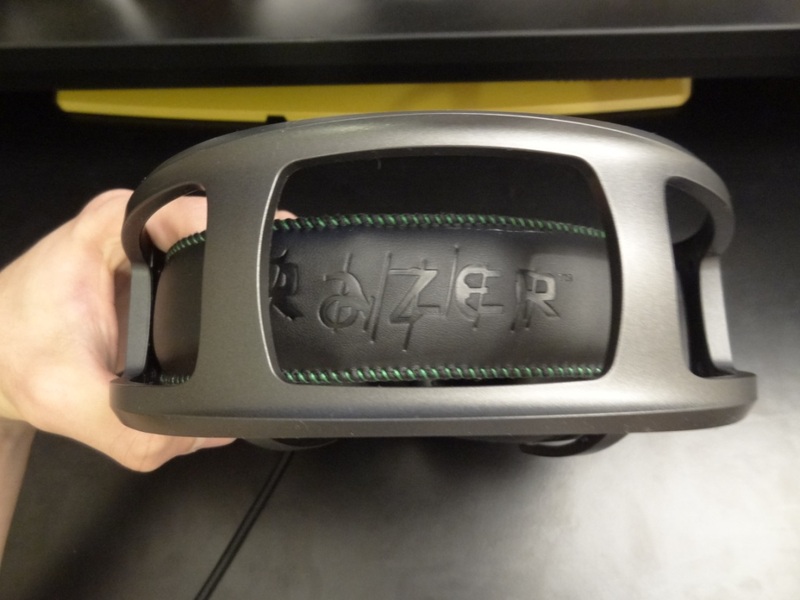 Overall the build quality of the headset is no where reflective of the price tag Razer are asking for it. Again, if it was £40 – sure no problems, but at the £160 price-tag, this is far below my expectations of a premium headset, especially with the competition it faces. In terms of comfort, the headset is reasonably comfortable, if I only take the pads into the equation. 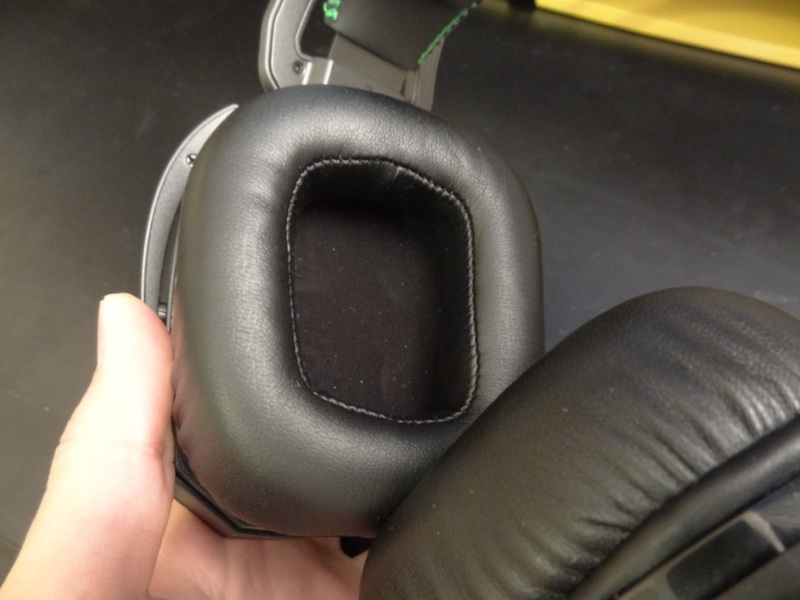 The pads are rectangular in design and quite padded in order to provide a nice soft feel around the ears. I feel that the pads do the headset justice, especially when it comes to isolation. I found the isolation to be quite good and the noise leakage to be minimal. It isn’t excellent, but does a fantastic job in passive noise cancellation. However, the comfort of the headset is severely affected by the horrible pads located at the bottom of the headband (what goes at the top of your head). 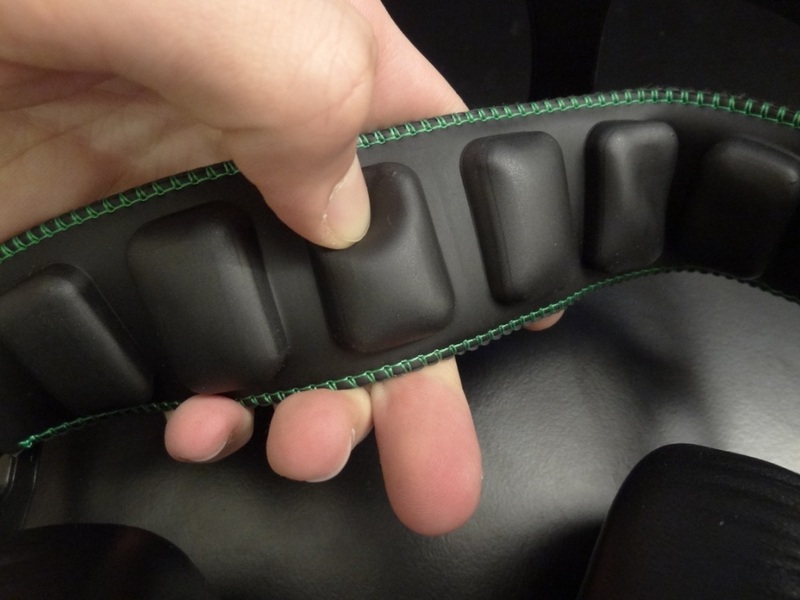 I have no idea what Razer where thinking here (apart from trying to save some money) – the material choice for these small “lumps” that sit at the top of your head are quite stiff and not very comfortable! If these were made out of leather/pleather, then the headset would have been much more comfortable, but sadly this isn’t the case. Overall, the isolation is great, due to the pads, but the overall comfort is disappointing. It isn’t extremely bad, but still below-par for a £160 headset. Now onto the biggest aspect of the headset, the sound quality. Where to start? This headset has horrendous sound quality – be it via an Asus Xonar D1, D2X or the on-board Z77 Sabertooth. No matter what settign I used, no matter what EQ, this headset sounded really bad throughout the frequencies. The low end was cut-off, with sub-bass being almost non-existent. The mids were hidden in some cave and completely drowned out by the over-emphasised mid-bass. Finally the highs were completely rolled off, not well extended and didn’t give out any sort of sparkle. I could go into a huge amount of detail in terms of how bad this headset sounds in comparison to its competitors or actual audiophile headphones – but I would be honestly wasting my time doing so. For the first time, ever, I’ve decided to cut the story short. This headset sound horrible, I have no idea what Razer were thinking, apart from over-charging customers for a headset that probably came out of China for the total manufacturing cost of £25. If you’re looking for sound quality, get an actual headphone or a Steelseries headset (which have impressed me greatly). 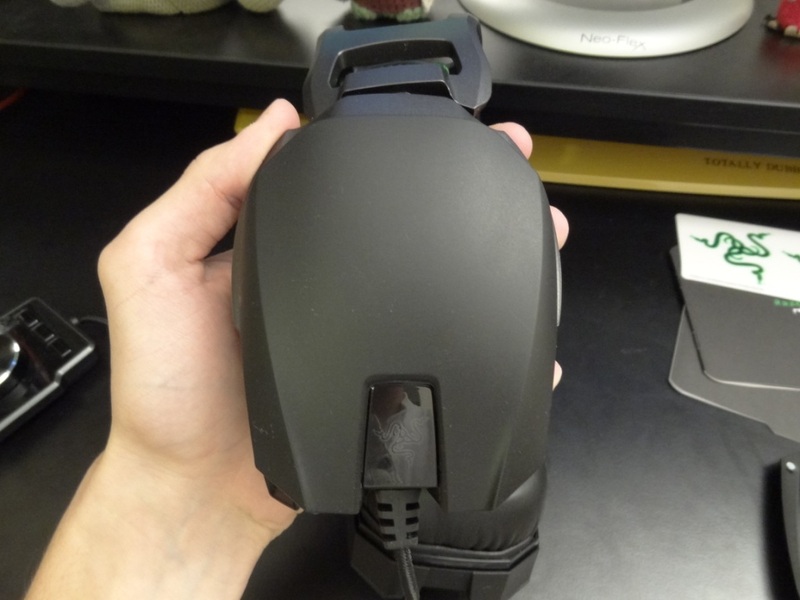 Sorry Razer, you really screwed up this time! 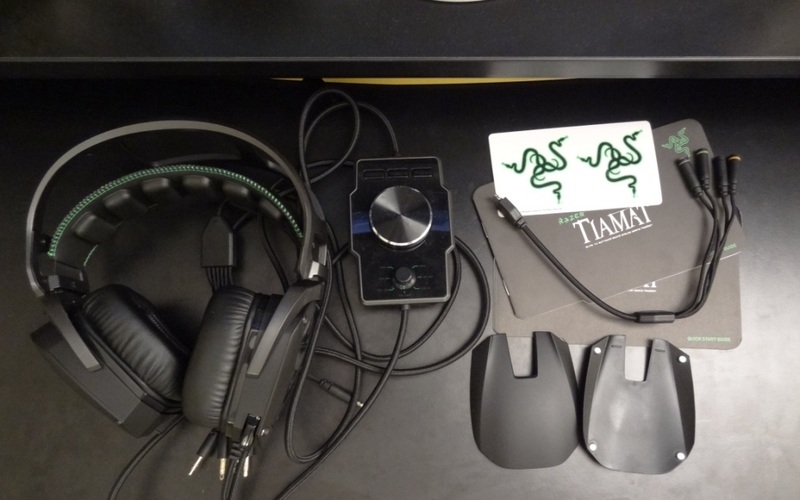 To sound off this section, the recording quality of the Razer was actually decent – although I did find that the mic quality did pick-up some of the headset’s music. 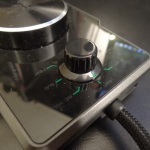 Overall, I would stay very clear of this headset – it isn’t a headset I would recommend for sound, not one bit, nor is it one I would recommend for overall build quality. At the given price-point of £160, there are FAR better option out there, be it audiophile headphones (with a ModMic 4.0 attached) or headsets from different manufacturers, like SteelSeries or Creative. To give you an example, a Creative Inferno, priced at £35, beats the Tiamat 7.1 in all frequencies, let alone it’s design and looks. 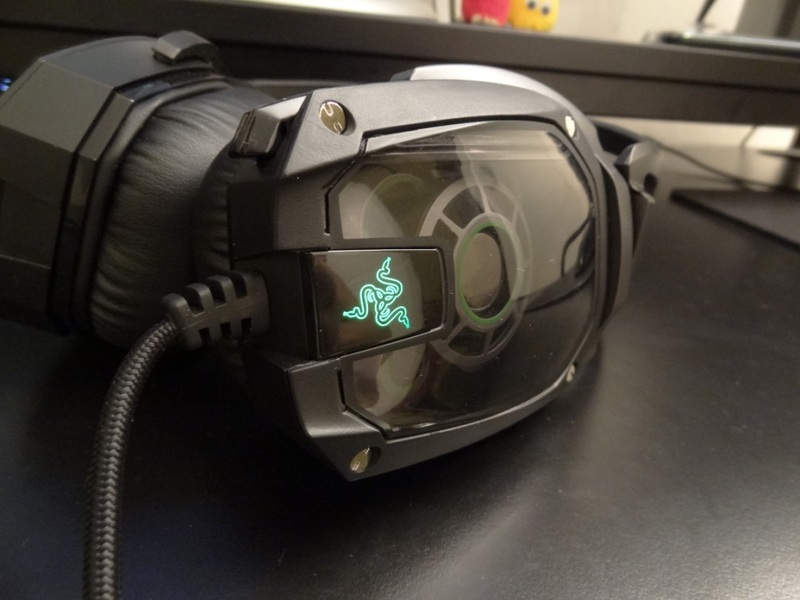 This entry was posted in Audio Reviews and tagged Elite Gaming, Headset, Razer, Review, Tiamat 7.1 on November 22, 2014 by TotallydubbedHD. You mention software as a pro, but never mention it again through the rest of the article? 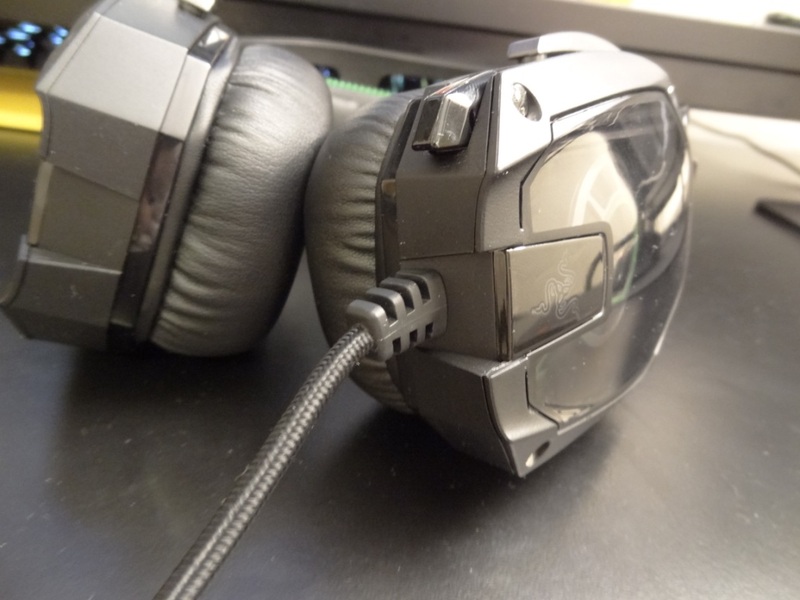 I have this headset, coupled with an Asus Xonar Phoebus soundcard. The sound is very good imo, although it takes A LOT of fiddling with settings on both EQ and soundbox. The soundcard made a difference, although I was able to get decent sound from my onboard audi also. Almost every gaming mobo includes 7.1 surround so connectivity should not be a limiting factor. This is one of those things where a little bit of research by the consumer turns this into a non-issue. Nothing to do with research, when the drivers are absolutely horrendous.